The fiftieth iteration of the geek-fest that is the Consumer Electronics Show kicks off on 5 January under the banner of ‘The Future is Now’. After a few solid, but unspectacular recent events, the initial buzz is that 2017 is going to be a vintage year. Viva Las Vegas! Since the first CES show way back in 1967, when a mere 17,500 attendees showed up to get a sneak peak of products from around 100 exhibitors, the event has grown exponentially. 2017 will see an estimated 180,000 delegates make the journey to Nevada to walk the 2.47 million square feet of exhibit space and peruse the latest tech on offer from around 3,600 companies. So, as the CES machine inexorably grinds into action, what are the big rumours already circulating around the main event? You might be forgiven for thinking that CES is gradually morphing into the ‘Las Vegas Motor Show’ given the amount of metal that was paraded last year. Only six years ago there were no automotive manufacturers attending CES. This year? There will be at least 10 exhibiting including marques such as Mercedes, Toyota, Hyundai and BMW plus a keynote speech from Renault-Nissan CEO, Carlos Ghosn. Expect to see the topical themes of electrification, connectivity and autonomy being prevalent again this year but also some newly emerging topics such as ‘future mobility’ which harnesses the power of all three. 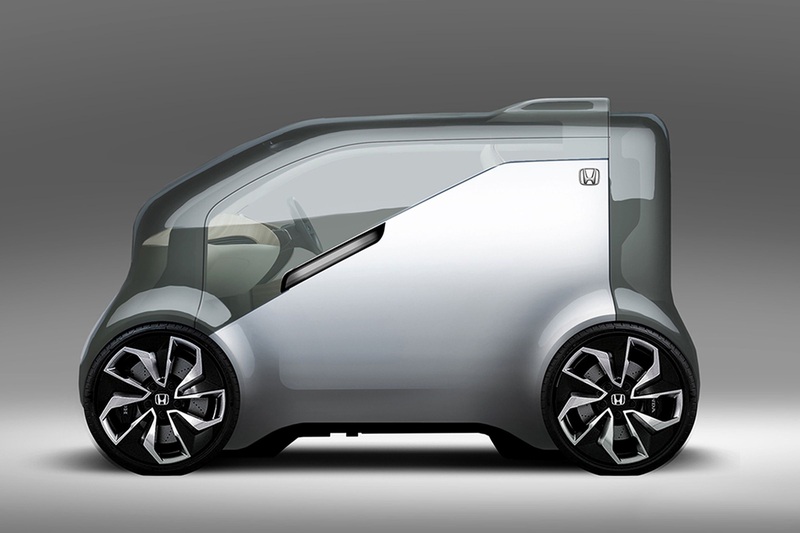 Take Honda, for example, which is showcasing the NeuV concept, demonstrating how it can reduce congestion through car sharing, vehicle-to-vehicle communications and new levels of in-car connectivity. Sounds cool. Just a pity that it’s at a decade away from production. So what about some self-driving tech that will be here a little sooner? Despite the fact that people keep saying that television is dead, it’s funny that the manufacturers keep churning out masses of new screens. Let’s be honest: TV isn’t dead, it’s just that the content delivery system has changed. And despite the fact that our smaller smart devices have the edge in terms of mobility and flexibility, there is no substitute for watching a movie or sporting event on a massive high definition television with a boombastic sound system. We are expecting the almost obligatory revelation (in recent years we have seen curved TVs, roll up screens etc) but in the main it will be the usual arms race for bigger or better (cue 8K units and 100″ inch-plus screens aplenty). From what I can gather, the turf war this year will be all about High Dynamic Range (HDR). So for a change, this isn’t about pixel count. HDR offers higher contrast, vivid colours and brighter images which get the best quality picture from a 4K screen. I haven’t seen it in action yet but apparently the difference in image quality is exceptional. So, if HDR takes off and becomes an industry standard then the content makers/broadcasters will inevitably have to follow suit. The likes of Netflix, Amazon and the BBC are already investigating or even trialling the technology. The only downside is that it’s yet another annoying acronym to remember when choosing a new TV (4K, HD, HFR, HDMI, HEVC, OLED, POLED, MU-MIMO, SUHD, VP9….the list goes on). At last year’s CES, we witnessed the launch and evolution of some serious virtual reality kit from the Oculus Rift to the HTC Vive to the Sony Playstation VR. The expectation this year is that there will be a slew of Windows 10-based systems being launched from the likes of Acer, Dell and HP plus the new HTC Vive 2 which is seemingly wireless. But that won’t be the real focus. Now we have the hardware, we need the killer software. 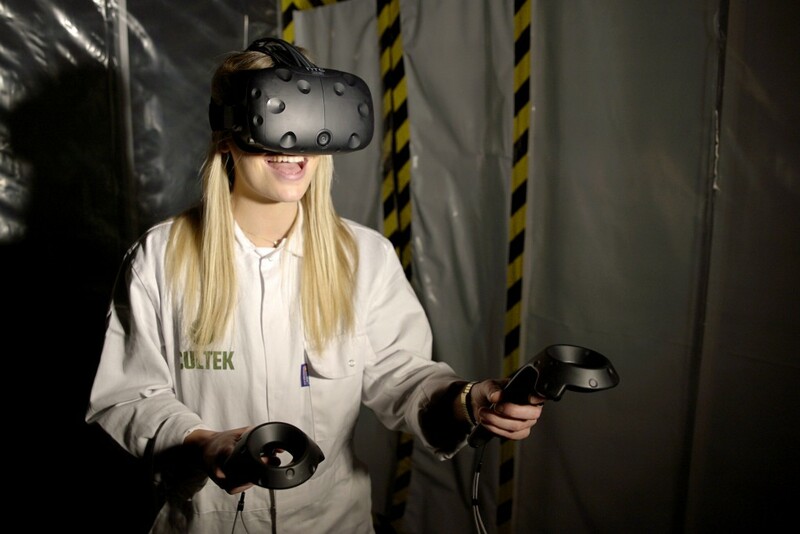 To date, I have seen some ‘interesting’ VR scenarios but nothing that has blown my mind. Now that’s all about to change. We are rapidly moving away from multi-media and multi-screens to multi-sensory. With the rise of machines, the proliferation of the Internet of Things and the consumers desire for real-life experiences, interactivity has become, err, very last year. Consequently that means we are moving seamlessly from the Interactive Age to the Immersive Age, a topic which is being covered extensively at the OMD Oasis at CES. And we are not just talking gaming here. People also want immersive content from the movie makers and streaming services but also venturing into new arenas such as comic books and visual novels. The Mobile World Congress in February has become the main focus for the phone manufacturers to show off their shiny new gear so CES isn’t always the best place to witness anything revolutionary. That said, Chinese firm Huawei introduced its Mate 8 model at last year’s CES and they are expected to maintain that trend with another high profile launch this year. Speculation is also rife that Sony will introduce a new range of Xperia kit at a press conference on 4 January, including a version with a 5.5-inch 4K display. Given that Apple recently rocked the mobile world by dispensing with the headphone jack and making their phone fully waterproof, it’s anticipated that several others will follow suit. Last year was heralded as the year the robot at CES. It wasn’t. It was more than a little disappointing to be frank. 71% more floor space at CES was dedicated to robots than the previous year and it was predicted that this would finally launch us into a dystopian world of Robocops and Terminators. It didn’t happen but I fully expect that to change this year. Drones really did ‘take off’ last year though (see what I did there?). They came in all shapes and sizes from eight-blade monsters with 4k HD cameras to mini drones that fold away and fit into your back pocket. There will inevitably be more of the same this year. As for wearables, after the OMBra (wearable tech under garments for ladies) last year I genuinely can’t think of any other type of apparel that can be connected. So my (somewhat outlandish) prediction for 2017? We will move from outerwear to innerwear. What do I mean by that? Tech that is inserted under the skin or even in organs and sends messages to an app. Embeddables as they are being called. Or maybe I’ve just been watching too many sci-fi movies recently. And last, but definitely by no means least, the weird and wonderful gadgets which always capture the imagination. Those quirky things you never knew you needed until they were invented. Contenders for this year’s strangest tech? Well what about the Wair? A connected scarf which filters out harmful pollutants and also provides real time air quality updates. Or what about Orosound ? A headphone system which empowers the user with the skill of ‘selective hearing’. I don’t need that. I have got two daughters and a dog who have mastered the art of selective hearing without the need for any technology. There you have it then – a whistle stop pre-event round up of CES. So off you go and enjoy your turkey and mince pies but don’t forgot to follow @OMD_EMEA from 2 January for live updates straight from CES. 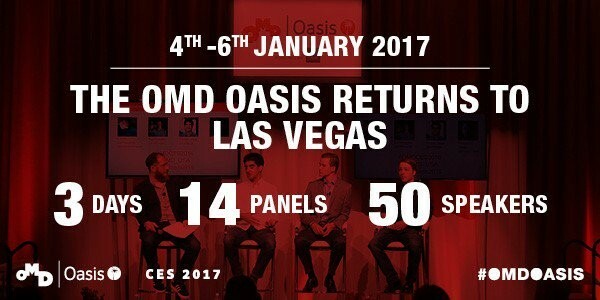 Originally posted on M&M Global at http://mandmglobal.com/what-happens-in-vegas-a-preview-of-ces-2017/. Steve Blakeman is a Global Account Director, OMD Europe. Previously, he was the CEO, Asia Pacific – OMD. Prior to that, he was Global Chief Integration Strategy Officer (Asia Pacific) for IPG Mediabrands (Initiative & Universal McCann). He has also had stints as worked as Managing Partner at Omnicom Media Group owned media agency, PHD where he successfully launched their second office in the UK. He began his career at JWT and has over two decades of experience in advertising, media and marketing communications.